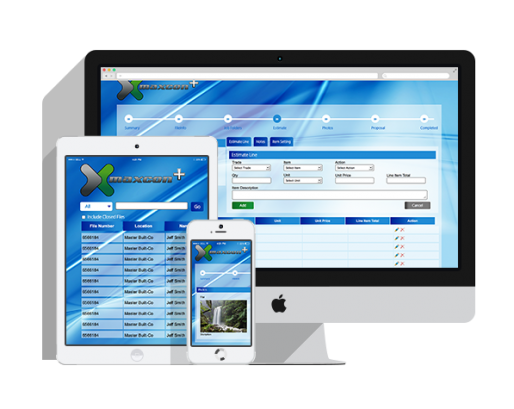 MaxCon Plus is cloud-based estimating software. Create impressive bids and estimates in just minutes. Organize, automate and manage insurance claims and construction projects . Estimating Made Easy. MaxCon Plus is intuitively designed with the user in mind. Now creating professional estimates is easy, simple and fast. Create beautiful, professional estimates that boost your confidence with property owners, adjusters and insurance carriers. MaxCon Plus is getting better all the time. By listening to our customers and making frequent updates, we keep you on the cutting edge. 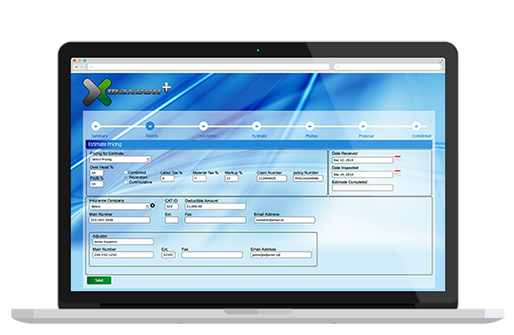 MaxCon Plus offers an easy way to set your own prices and profit margins. Gone are the days of being locked into set pricing. We help you control your destiny! Our customers are always telling us how much they love our tech support team. MaxCon Plus is designed to be easy to use, but if you need us, we are here for you. From auto populating trade codes, item codes and descriptions, to easily uploading photos, and entering details, we strive to make your job easier with our estimating software.